Each year, the Sid Feldman Scholarship Committee reviews applications from incoming freshman to DePaul University to identify the top candidates for awards. The scholarship selection committee selected one student to receive the award. Christian Gordon will start at DePaul University as part of the freshmen class in Fall 2018. Christian Gordon is a freshman entering DePaul University and is from the Back of the Yards neighborhood in Chicago. As a Cubs scholar in high school, Christian had the unique opportunity to learn many different things about how the world works and can’t wait to make a change in his community. Christian plans on majoring in finance and later pursuing real estate. The scholarship selection committee selected one student to receive the award. 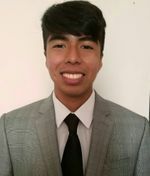 Pedro Mejia started at DePaul University as part of the freshmen class in Fall 2017. Pedro Mejia is majoring in Accounting. Pedro was raised in the Back of the Yards community and graduated from Whitney M. Young Magnet High School. He enjoys a variety of sports and volunteering. He plans to remain active by joining student clubs at DePaul. The scholarship selection committee selected one student to receive an award. 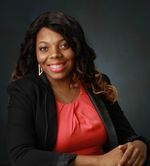 Samantha Mallett started at DePaul University as part of the freshmen class in Fall 2016. Samantha Mallett is majoring in Marketing with minors in International Business and Spanish. As a Girl Scout, Samantha has learned the values of selflessness, integrity, and leadership and hopes to continue being outspoken at DePaul. Currently she is interning for the Economic Awareness Council by teaching young adults the importance of banking. 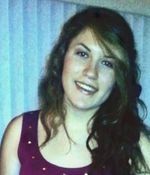 Samantha hopes to study abroad and be involved in various student groups. The scholarship selection committee selected two students to receive awards. Alicia Maciel and Daniela Rozo started at DePaul University as part of the freshmen class in Fall 2015. Daniela Rozo is interested in majoring in International Business at DePaul. She is also interested in minoring in Mandarin Chinese as she enjoys studying different cultures. In the future, Daniela hopes to study abroad and also pursue a masters degree in business management. Alicia Maciel is interested in majoring in business management at DePaul. Besides academics, she is heavily involved as an active street team member of Riot Fest music festival as well as a volunteer in various opportunities that arise in the community. She is driven to work part time throughout her years in college and study abroad. In 2014, one recipient was awarded the scholarship. Kasandra Negrete is exploring finance and marketing as potential majors at DePaul University. She is interested in taking on a double major in those fields. Currently, Kasandra is an intern at the City of Chicago Department of Finance and she also works at the DePaul Department of Marketing as a student assistant. During a recent spring break, Kasandra traveled to Jordan, Amman, through a first year study abroad program at DePaul. In 2013, Jimena Villagomez was selected as the next recipient. Jimena grew up in the Back of the Yards community and graduated from Jones College Prep. 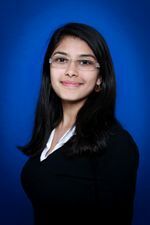 She majored in accounting and finance and graduated from DePaul University in June 2017. At DePaul, Jimena was active in many student clubs on campus including MAHA and Chicago Scholars. Currently, she is working for an accounting firm while she completes the necessary credits to sit for the CPA exam. 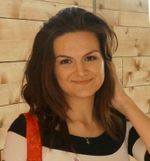 Ioana Vintila graduated from DePaul University in 2016 with a Bachelor's of Science in Accounting. Ioana is now living in Switzerland as a US Tax Consultant. Previously, she worked at Ernst & Young helping expats with tax and legal issues. She volunteered with Ladder Up providing tax help and mentored incoming CPS students as well as international students. During her time at DePaul, she studied abroad in Germany where she learned about European economics and politics. 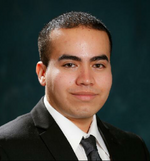 Juan Lopez graduated from DePaul University in 2015 with a degree in Honors Marketing and a minor in category management and sales. He is currently doing sales for 3M in their Automotive Aftermarket Division. His territory ranges from the South of Chicago to Joliet, Kankakee, Lasalle, Bloomington, and Peoria.